Missing a lid? Missing the entire bin? Need more bins because of increased recycling? If you’ve answered yes to any of these questions now is the time to replace or add a bin to your fleet. 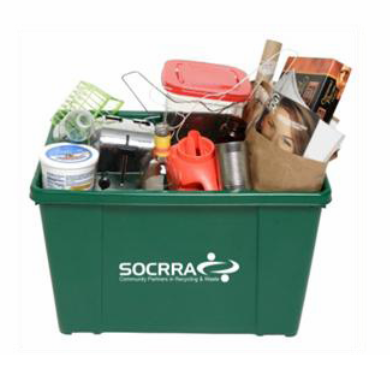 SOCRRA will be holding its bin sale for the entire month of November offering select communities recycling containers for only $6, a 5o percent discount. Residents of the participating communities include Berkley, Beverly Hills, Birmingham, Clawson, Ferndale, Hazel Park, Huntington Woods, Lathrup Village, Oak Park, Pleasant Ridge, Royal Oak and Troy. This entry was posted in Detroit and tagged Michigan, recycling. Bookmark the permalink.